Lift up your hands that hang down, says the LORD. I did not command weariness and depression to invade your life, but I sent you My Holy Spirit and My fire to empower you and equip you to be a mighty warrior. I have empowered you by My Spirit to overcome and overwhelm the forces of darkness. I have equipped you to be a winner, not a loser. You are a child of light, not of the darkness, says the LORD. 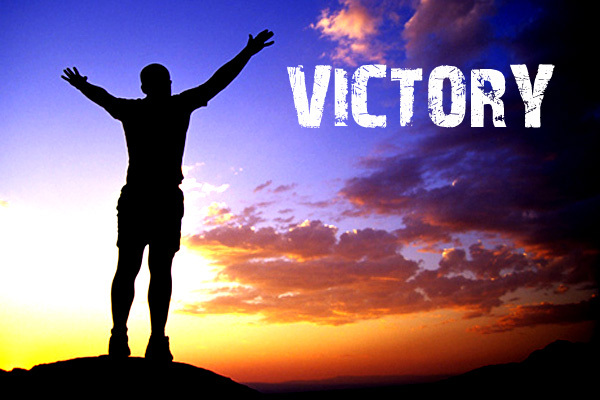 Defeat should never be spoken from your lips, because I have called you to be a champion and not a loser, says the Lord. I have pronounced you as a winner, not a failure. You will not be destroyed by the evil one, but I will help you to rise and walk in the light of My glory. You will defeat the darkness with My light in you, and you will tread upon that old serpent, the devil, as you destroy his diabolical weapons with the greater forces of light, and drive out the enemy, and possess new territory for My kingdom and glory, says the LORD. AMEN and AMEN. Thank You Father God!